This four-day excursion began with John and MD and second son Dayna traveling to Munich. Met by our German cousin and John’s namesake Svenja Fischer, the beautiful day was spent in town, where a great meal was enjoyed, and talks about the weekends program (which was looking great) took place. Day 2 saw the crazy gang (yes IDMC lol) join John and Dayna in Munich to get the party started! Upon arrival there was a lovely fellowship meal together with the members of Gospel & Soul choir, after which the guys settled in for a restful night. At the commencement of Day 3, it was time to prepare both choirs and come together for the morning workshops and rehearsals. Svenja spent a long time in the UK studying and joined and became a member of IDMC in 2010 for 18 months where she both toured and recorded. 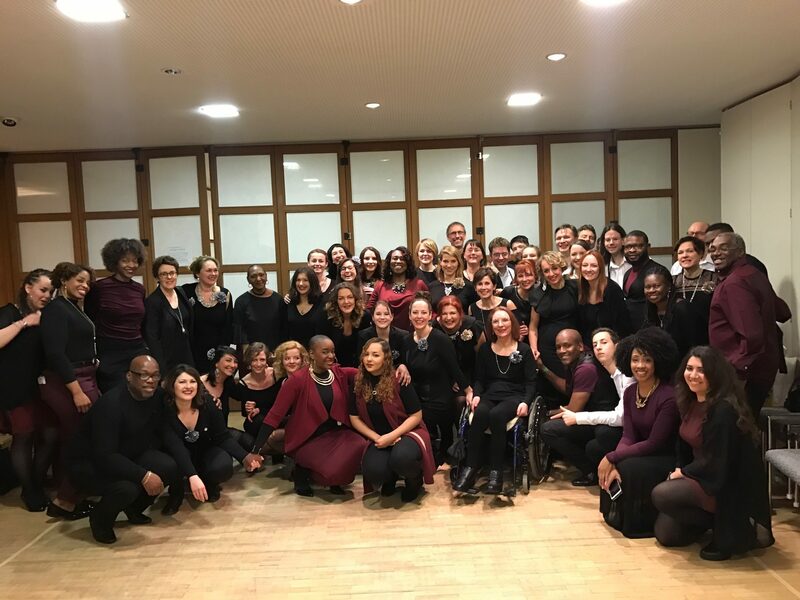 In this time her vision became clear and she established, developed and lead her own choir back in Germany, therefore it came as an honour to share time and passion with a wonderful set of people who really honor and revere IDMC. The venue looked beautiful, a 500-seater church in Parkstadt Munich. The choirs spent the morning going through the finale where they would unite to perform a few of IDMC’s songs. With a good amount of free time, the members of IDMC were taken out into the town by the host choir members and enjoyed visiting sights, a bit of shopping and relaxation. While the team were out production manager Andre Charles worked alongside the technical team to ensure the sound for the night was correct, after all it was yet another sold out show! (wink, wink). The sound checks went well and both choirs went through their paces. There was a moment in IDMC’s preparation where the choir were going through a few songs and John was picking the choir up on some technical points to make the sound even tighter, it was then noticed that the host choir stopped in their tracks to just sit and observe IDMC’s rehearsal. Many of the members of Gospel & Soul were in tears as IDMC sang the ‘Love medley’. You could literally cut the atmosphere with a knife. Doors opened at 7:00pm and the audience came in, around 45 minutes later every seat was taken and there was just about standing room! Gospel and Soul began the evening with a collection of great gospel covers. The choir is only a few years old, but have a very mature sound already. The IDMC family made a rapid costume change so they could be in full support from the start of Gospel & Soul’s set, and made sure that their new friends knew they were there in support. Without a break, IDMC took to the stage 50 minutes later. The sense of anticipation was very evident. 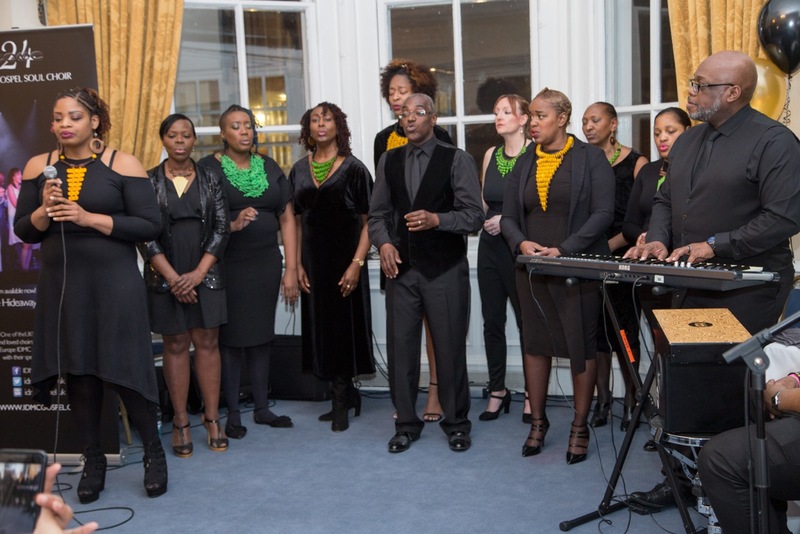 John took the expectant Munich audience on a gospel musical journey, which took them through praise and worship to gospel joy, with dancing, clapping their hands and singing along with the choir. With our host choir singing along with IDMC the vibe was awesome, and then came the finale where both choirs filled the stage. 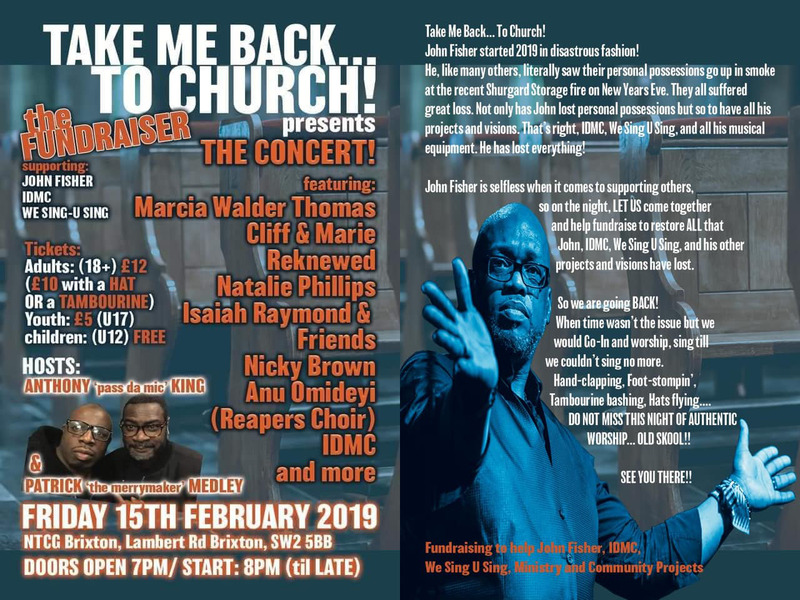 The audience didn’t know what to do with themselves as the choirs lifted the roof with the sound of full high-octane gospel singing – another incredible night. DAY 4 Sunday morning saw the team at Church of the Ascension in Untergiesing – Harlaching. A beautiful service saw IDMC minister a few of its worship songs for the service and also creating a Pentecostal praise session, but the audience were not allowed to clap The afternoon progressed into IDMC and Gospel & Soul relaxing and enjoying a wonderful meal together including a massive sing-song in the traditional German pub before leaving for the airport. Another remarkable weekend with so many highs, John and the choir were once again overwhelmed by the love demonstrated by a group of strangers where the only thing they had in common was the love of God and gospel music.